We had a really nice time this past weekend and went into town to visit the Manchester Art Gallery. They have a beautiful exhibition called Cotton Couture, which features designer dresses and suits commissioned by the Manchester-based Cotton Board to promote the use of cotton in fashion during the 1950s. Some of the outfits took my breath away. It was so fascinating to see pieces of history created by British and Parisian couturiers using simple cotton. If you are able I recommend going to see it! 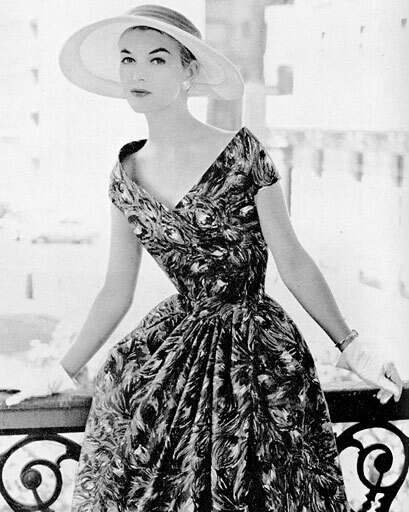 Paris couture, commissioned by the Cotton Board in Manchester in 1956-7. All those shapes on the wall can be moved and hung on the hooks, I could do that for hours. They also had fun big blocks under a projection light that kept changing pattern and a colouring table with an inspiration board, which also focused on pattern - I loved that too!! I love living in Manchester and it's so wonderful that we have such amazing galleries and museums that are free and child friendly. Do you visit galleries or exhibitions where you live? On the same note the kids and I have been really enjoying this song (Lois does the best little version, I will try to video it if I can!) - watch both versions if you need something to make you smile! My kids giggled through both and want to watch them over and over! Took my 2 and a half year old grandaughter to the Manchester Science Museum a couple of weeks ago. She loved it and wanted to try everything. She particularly liked turning the wheel to lift the mini in the air and blowing an enormous soap bubble. I love science! Thanks for sharing the videos. I enjoyed them. must be brilliant to live in such a vibrant city, Belfast isn't bad but hasn't the variety of somewhere bigger like Manchester. I'm now humming, put on a happy face!